Where is Whiskey Creek Golf Club located? 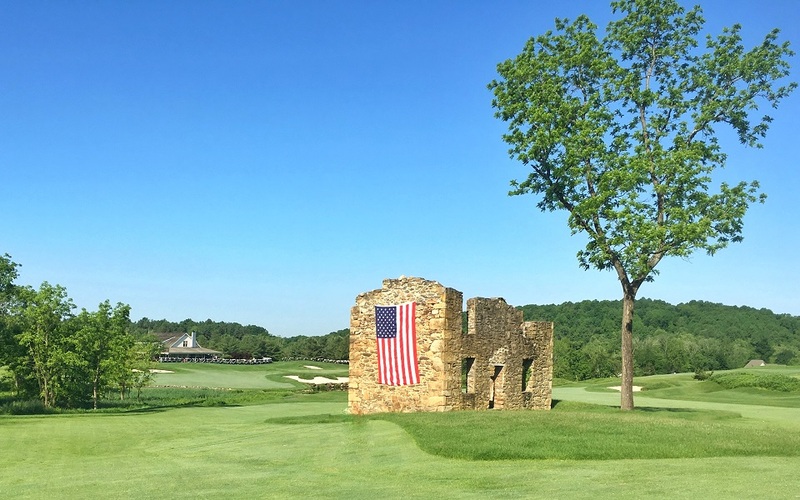 Whiskey Creek Golf Club is located in Ijamsville, Maryland, just 45 miles north of Washington, DC or west of Baltimore, MD. When did Whiskey Creek open? Is Whiskey Creek Golf Club open to the public? Yes, Whiskey Creek is an upscale daily fee golf course. Does Whiskey Creek offer memberships? No, we are strictly a daily fee course, yet we offer the same exceptional services and experience as a private club. Who owns Whiskey Creek Golf Club? Whiskey Creek is owned and operated by KemperSports Management. When can I make tee times? We accept reservations 14 days in advance. Reservations can be made by calling the ProShop, during normal business hours at 301-694-2900 or ONLINE 24 hours a day. What amenities are available at Whiskey Creek? The 5,000 square foot clubhouse offers a full-service golf shop and restaurant with indoor/outdoor dining. The upstairs mezzanine offers a conference room with an outstanding view of the golf course. The entire facility offers free Wi-Fi and is well known for its inviting atmosphere. The practice facilities include a driving range, chipping green and a putting green. Yes, our PGA professionals offer individual and group lessons. For more information, please contact the ProShop at 301-694-2900. Are there organized golf and social events? Yes, Whiskey Creek hosts club tournaments and social events. Who was the course designer? The golf course design is a collaboration between J. Michael Poellot (JMP Design Group) and 2 time US Open and British Open Champion Ernie Els. “Whiskey Creek offers a wonderful opportunity for a highly memorable round of golf due to the great diversity of the natural setting of the site's surroundings," said Poellot. "The golf course is a very true test of golf that Ernie and I know golfers of all abilities will enjoy playing time and time again." What is the slope, rating and yardage for Whiskey Creek? The golf course offers four sets of tees. The slope and rating are for the following tees: Red (5,296 yards) – 70.5/121, White (5,979 yards) – 69.3/129, Blue (6,525 yards) – 72.3/136 and Black (7,001 yards) – 74.6/138. Do you have rental sets and/or demos available? Yes, the ProShop offers a wide range of demo clubs and premium clubs for rent. Do you offer senior rates? Yes, senior rates are offered Monday through Thursday. Will the restaurant be open for breakfast, lunch and dinner? Yes, the restaurant offers a menu for every time of the day. Our executive chef also creates a delicious daily specials. Can Whiskey Creek accommodate weddings and large events? Yes, the clubhouse can accommodate social events and parties. The event lawn lies adjacent to the clubhouse where larger groups can host events in an outdoor tent. Clubhouse privileges and access is pending on the time of year. How do I book a private event or golf outing at Whiskey Creek Golf Club? Complete the below form for more information on a private event or golf outing.